Students from Boyd County Middle School and Catlettsburg Elementary in Boyd County, KY participated in the school district’s first ever Mutt-i-grees retreat. The goal? To encourage community engagement by offering students a unique opportunity to learn about their county’s municipal departments, historic landmarks, and civic organizations. The retreat began at the Boyd County courthouse with an educational tour of the county seat and historical walk. 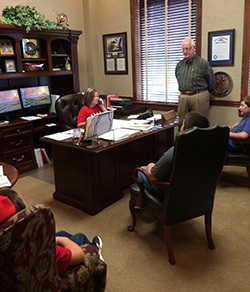 Students were able to meet with an executive judge and courthouse staff to learn about their duties and education needed to work their particular job. 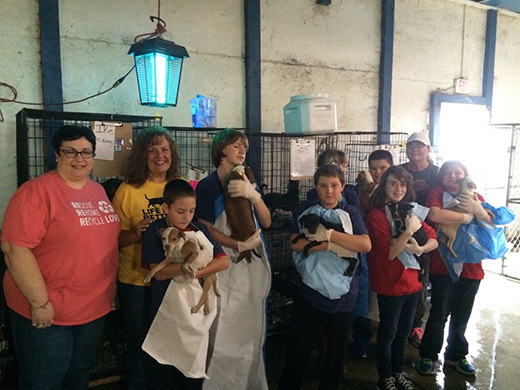 From there, they proceeded to the animal shelter where they held and walked dogs and learned ways in which they might be able to help homeless animals in their community. After a fun lunch at a local family fun restaurant, the day concluded with a visit to the Paramount Arts Center, a historic theater in Ashland, KY. The funding for the day’s travel was graciously provided by the district’s superintendent, a testament to his dedication to the Mutt-i-grees Curriculum!